Even by Japanese standards this blended whisky is complex. 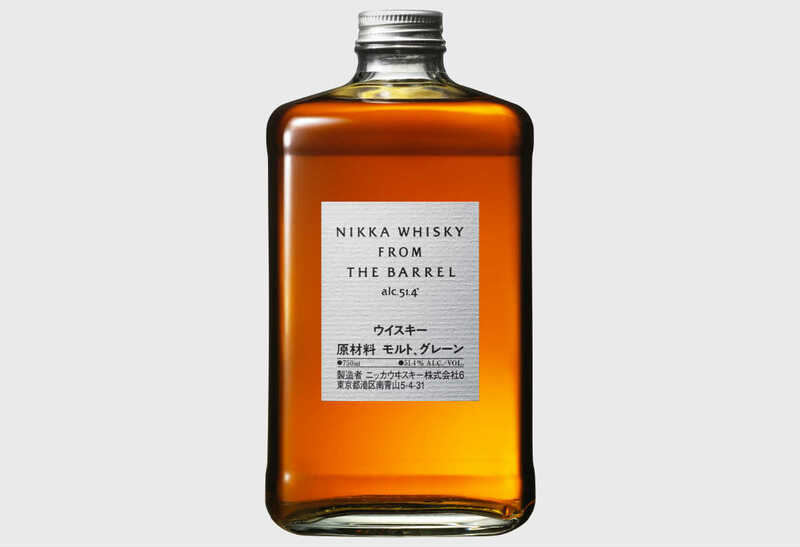 The over 100 batches of malt and grain whisky that make up the blend are drawn from Nikka’s Yoichi and Miyagikyo distilleries and aged in a variety of different ex-bourbon barrels and sherry butts. The blend is then aged for another three-to-six months in used barrels and bottled at a proof just north of 100. It pours a medium-to-light gold in the glass and has vanilla, dry almonds and sawdust on the nose. It has a warm, thick, tongue-coating presence on the palate and starts with flavors of milk chocolate and almonds. It’s hot from the start, but the heat kicks up at the center where it’s joined by vanilla and dry oak. A rich, nutty nougat sweetness emerges at the start of the finish, and is overtaken by a neutron-bomb level spice detonation. Which isn’t at all a bad thing: it’s a prodding, tingling, tickling spice that almost pushes the tongue to numbness, and contrasts beautifully with the spirits’ rich texture and nutty flavor. It’s finally played out by a drawn-out note of leather.